Diana Hwang is the Founder and Executive Director of the Asian-American Women’s Political Initiative (AAWPI). Diana began her career in politics at the State House as the Executive Director of the Caucus of Women Legislators and as the Legislative Aide to late State Representative Debby Blumer (D-Framingham). She then served as Chief of Staff on the Boston City Council. Diana is a Founding Commissioner on the Mayor’s Women’s Commission for the City of Boston. She also serves on the Boards of the Center for Women in Politics and Public Policy (CWPPP) at the University of Massachusetts Boston and the Salesian Boys and Girls Club of East Boston, and served as Co-Chair of the Board of Directors for the Boston Women’s Fund. Diana was profiled as "one of Boston's most powerful thought leaders" in Boston Magazine and has spoken at the Center for American Progress in Washington, D.C. and at a number of colleges, including Salem State University, Wellesley College, Northeastern University and Dartmouth College about starting AAWPI. exercise an independence of thought and of priorities." Diana won the city of Boston and raised the most money in a race that included a sitting state representative and former mayor. Diana is originally from Houston, Texas and graduated from Dartmouth College and Columbia Business School. 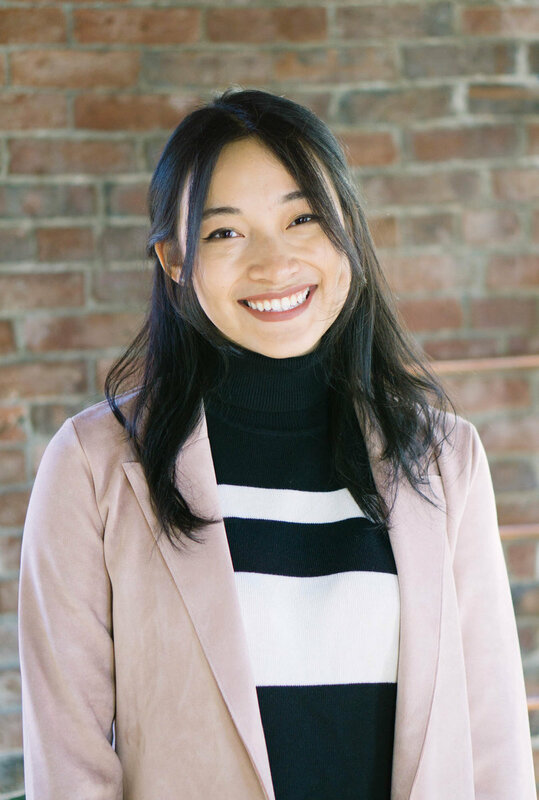 At Simmons College Tiffani studied political science and came to AAWPI looking to connect her identity as an Asian American with her belief and passion for the democratic political process. In 2016 Tiffani began her journey as a Fellow and in 2017 she became a Program Facilitator. Now, Tiffani's role as Deputy Director enables her to continue to shape the program and direction of AAWPI to further enable young Asian American women gain access to the political process. Tiffani believes that AAWPI enables those who are community activists gain access to the political tools necessary to enact real and necessary change. Krista Gon is an AAWPI alum and a member of Cohort 7. During her fellowship, she interned with Representative Jeffrey Sanchéz on the Joint Committee of Health Care Financing. She is currently a fiscal policy analyst in the House Committee of Ways and Means working on developing the state’s healthcare budget. She first came to Massachusetts to study physical therapy at Simmons College but after spending a month shadowing at a large hospital, she wanted to better understand the health disparities and access barriers to quality health care. Realizing how disconnected pre-health students like her were unfamiliar with the health care system let alone the political system, she became passionate about encouraging more science students to get politically involved. Krista has continued to stay active with AAWPI upon graduating. She served as a Selection Committee member for two years and in 2018 became the Program Facilitator for Cohort 9. This year, as the State House Liaison, Krista is responsible for the State House internship program component—facilitating and nurturing fellows professional development throughout the program. Gianina Chua was born and raised in the Philippines and immigrated to the United States in 2009. She graduated with a degree in Political Science at Boston College and is now AAWPI’s Program Coordinator. In 2017, Gianina joined AAWPI as a fellow and found a strong sense of community among her cohort and mentors. As an AAWPI fellow, she had the opportunity to intern with MA State Senator Sonia Chang-Diaz, the first Latina elected to the MA state house. Gianina’s experience with AAWPI and interning at the State House empowered her to pursue a career in government and to continue her passions and advocacy for a more representative government. She believes that AAWPI is a unique and brave space that feverently uplifts and empower AAPI women.